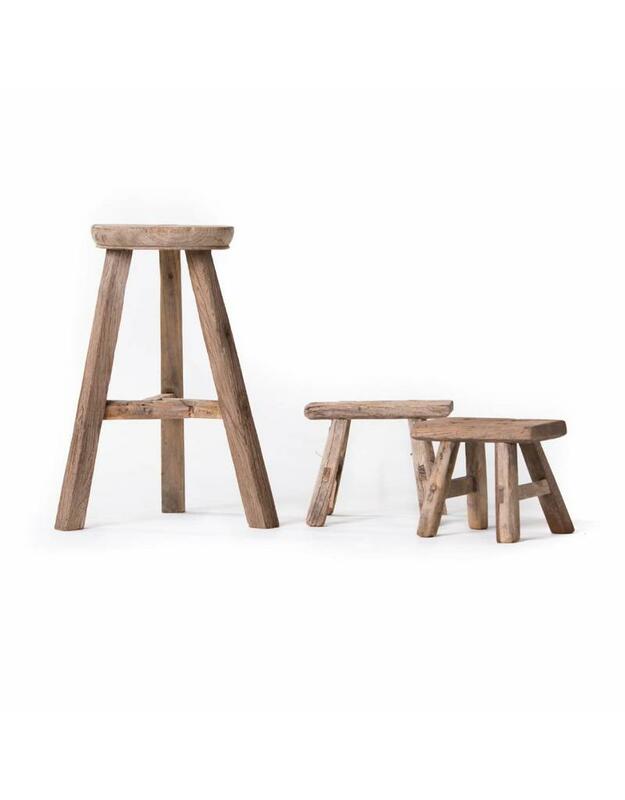 Set - Old round stool with workmen's stool - Old Wooden stool, Authentic rustic wooden stools en benches. 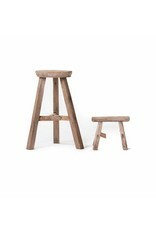 Home / Beautiful set of weathered round wooden stool and small workman's stool(s). 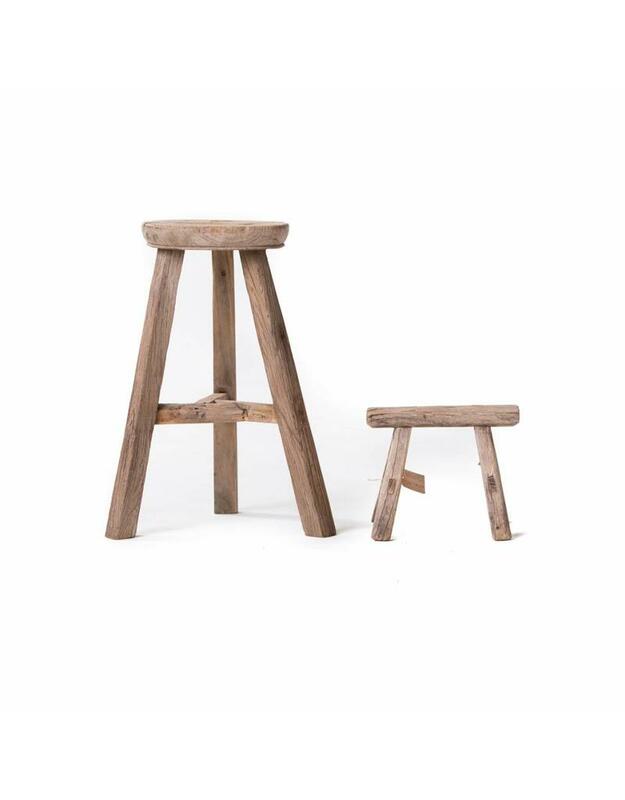 Beautiful set weathered wooden round stool and small workman's stool. Our old wooden round stools fits in every interior, modern or rustic. 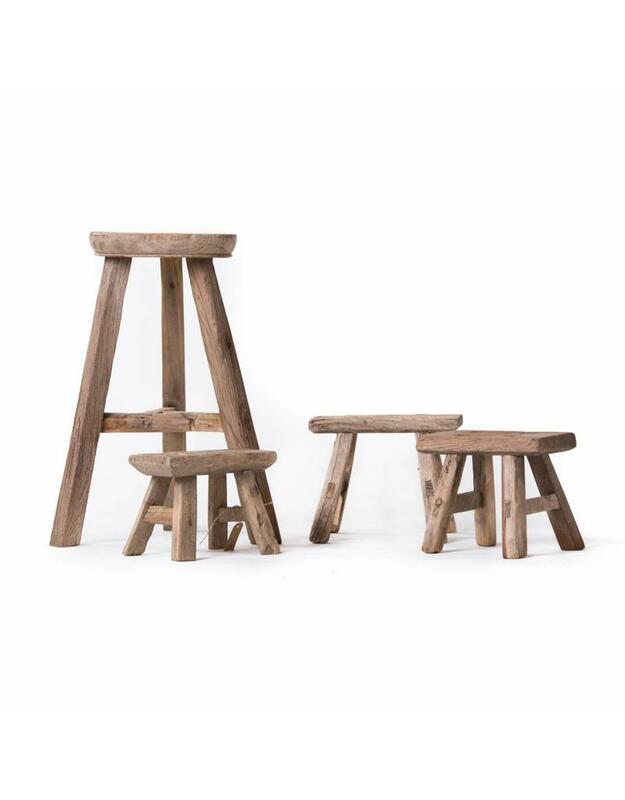 One of our beautiful weathered stools fits every living style. All of our old stools have their own imperfections. And that’s what makes them so wonderful. They are marked by use and time. The unique details make the round stools so special. It gives them character. 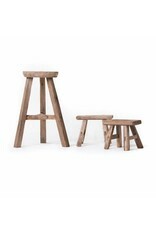 Choose you combination with 1, 2 or 3 mini stools. Tip! A wooden round stool with 3 legs is always stable, good to use as side table next to your sofa, to put on your drinks or snacks.